Save the Date! Registration open on May 16th, 2019! This is the only Koshas PYMT to be held in the US in 2019/2020: save the date! The ancient teachings of the Koshas describe, and are the basis for understanding yoga as a holistic practice. These teachings on the koshas––the five coverings of the soul, are the meeting point of the three of the most luminous wisdom traditions: Yoga, Vedanta and Tantra. The koshas breathe life into the search for how to reach the highest plateau of practice. The teachings we will explore in this training aim to unravel the great mysteries of life as well as to help you to find your true calling. They will liberate you to discover your ultimate capacities and to thrive in relationship. In short, your exploration of the koshas will move you to become a master of your inner and outer world. Through theory, practice and the insights of the ancient written and oral traditions, we explore these vital teachings and the specific practices that touch each of the five individual koshas and that lead to greater balance, wisdom, and freedom. The Kosha, Kriya, Yoga training includes dedicated practices (asana, pranayama, and meditation) that address each of the five layers. Yogarupa will lead you on a journey toward understanding, both for personal practice or, for those of you who are teachers, your students’ practice. This five-day training is designed for dedicated practitioners, aspiring teachers, or those already teaching. Provided you are one of these, all levels are welcome. strongly recommended prior to attending this course, but not required. • The interplay of body and mind – how to change the body through mindfulness, and mind through specific asanas and sequences of asanas. 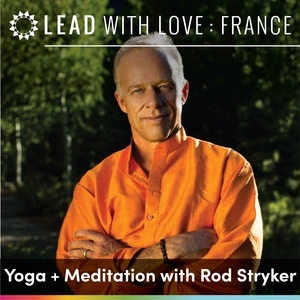 • Specific approaches to relaxation practices (yoga nidra) that awaken buddhi – the inner knower. This book can be purchased on Amazon; it is recommended that you read this prior to the training. Note: In order to receive credit toward ParaYoga certification and Yoga Alliance RYT programs, as well as your certificate of completion for this training, you must complete a google form quiz for this book, submitting it to us within six weeks following the completion of the training. You will not receive credit for submissions after the deadline; there are no make-up assignments. 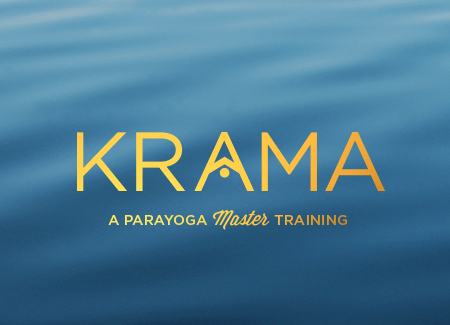 The google form will be sent out by the ParaYoga office the month the training takes place. Program Cost: $845.00 for the 5-day training ($795.00 if you register AND pay in full prior to August 16th, 2019). The $100 deposit is due at time of registration. When you register, you may pay in full or only pay the deposit; the option to pay only the deposit appears at the final payment screen. Any remaining balance is due by September 16th, 2019. Early bird rate requires all tuition costs to be paid in full no later than 60 days prior to the event. If total costs are not paid in full 60 days prior to the event, participant is no longer eligible for the early bird discount, and course fees will revert to the regular (higher) cost. Any cancellations done 31 days or more prior to event start: The deposit of $100.00 is non-refundable and non-transferable. The balance (total cost minus the deposit) is not refundable, but it is transferable to future ParaYoga sponsored events. Any cancellations done 30 days or less prior to event start: All payments are non-refundable and non-transferable. Click here to be led to the Carbondale Resources Page. There you will find essential information on airports, rental cars, accommodations, restaurants and more. The best place to seek or offer ride or room share information for ParaYoga events is on the Facebook group page specially created for your training. This ParaYoga group page also serves as a forum for discussion and sangha (community) after the training. ParaYoga room or ride share information will be available only on the Facebook group page, not on the website. Upon your registration, we will automatically add you to this FB group. If you’re not using Facebook, we recommend that you sign up for this free service since this is the only place where ParaYoga room or ride share information will be available and because this private group is a great place to continue discussing what you’ve learned. Please note that the ParaYoga office is not responsible for connections made on these Facebook pages or for their content. 2) Follow the prompts to sign up! Please note: After the training and once the book report has been received, students are eligible to receive a certificate of completion. However, it is not rewarded on the basis of enrollment. Attendance at all sessions and completion of all contact hours is required. Certificates can only be issued on the basis of hours completed by the close of the training.